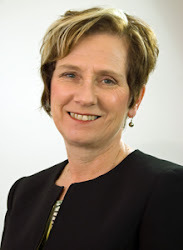 I have heard it said that our youngest learners cannot really communicate evidence of their learning, or that in order to do so, they must rehearse and rehearse and rehearse. I'd like to share a story that I hope will cause you to look at this notion with new eyes and to see just how much you are really modelling when you slow the pace of learning to include a clearly identified learning destination, samples of quality, and success criteria. I want to thank Lyle Boerchers, a Grade 1/2 teacher at Nordale School in Winnipeg for sharing the pictures that have inspired this post. Lyle and I worked together during a lesson study week focussed on teaching his students how and why to do procedural writing. On the Thursday evening of that week, Nordale School was having Student-Parent-Teacher conferences. 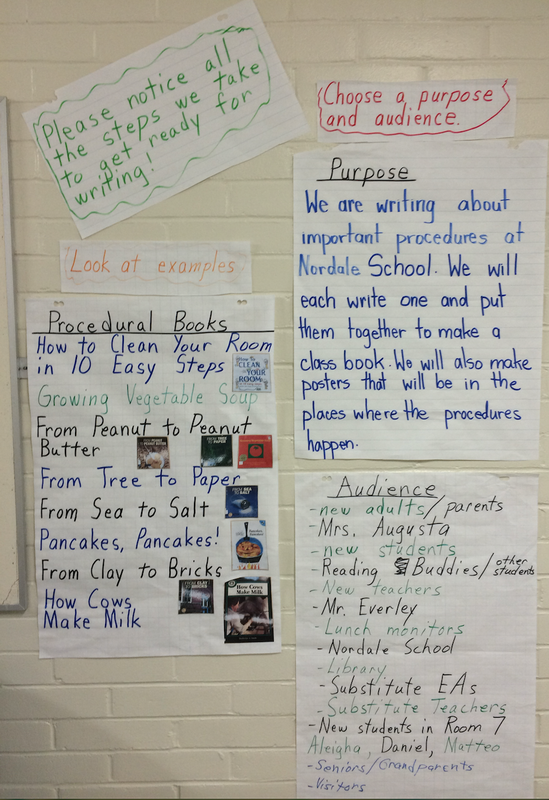 Lyle used the charts, criteria, and other artifacts of the process to set up a display that made it easy for students to show what and how they had been learning about procedural writing. "With regards to the student-led conferences last night here is how we set up the display. We deconstructed all the work we did on the posters and went through them as a group to put them back in an order that would make sense to people looking at them. Then we put them up in the hallway in the correct order and made some smaller headings to guide the reader. Over the course of the evening parents were looking and commenting to the amount of work that goes into the process before the actual writing begins. I had at least 5 different students and groups of students reading and asking questions and making connections. First, students shared the frontloading (Routman, 2005) - all that happens before students write so that they know what they are going to write, why they are going to write, and the audience for whom they are writing. 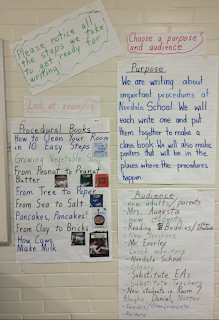 This included the books that were read featuring procedural writing, their purpose or reason for writing procedural texts, and the audience for whom they would write. Then students shared the various descriptions of quality that were provided and discussed. These included a model written in front of them with the teacher thinking aloud and describing what goes on in his or her brain as he or she writes and a couple of shared writes - teacher and students composing together with the teacher holding the pen and making the final decisions. Finally, students shared their own writing with stickies attached to show where they had met the criteria. They were able to communicate about their learning in this way because they have been living this process for at least three weeks. There is no need for rehearsal - this is just the way they do business. When we use the gradual release of responsibility in this way to teach writing, we are also teaching the language and actions of self-assessment.